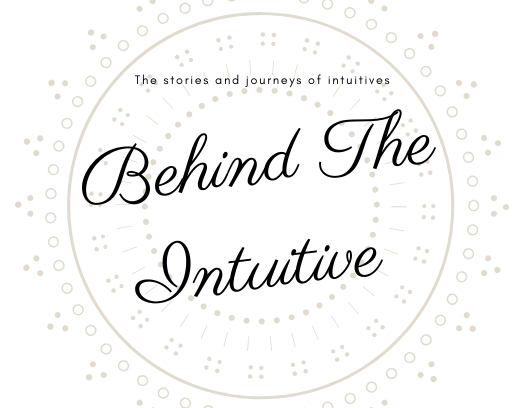 Welcome to behind the intuitive! The feature where we get to read about the spiritual path of other intuitive’s. From how they got started to where they are now, and all the exciting, confusing, and lessons learned in between! I’d like to introduce you to Cori Drydak. She is a medium, crystal healer, reiki master and runs an online store. She is extremely gifted and someone I would recommend going to if you would like a mediumship reading or some healing! In this interview we will see her journey and where it has taken her, enjoy! Hi! I’m Cori. I’m a medium, crystal healer, and a Reiki master/teacher. For the past few years I’ve been running an online crystal/spiritual shop called With Love & Light. Although I’ve absolutely loved my journey with With Love & Light, I wanted to focus on helping people at an even deeper level. So, I have recently made a shift and am focusing on my mediumship and energy therapy - offering readings, energy healing, and house cleansings! How or what made you get started in your line of work/the spiritual path? Well, I’ve always had experiences with spirit but they absolutely terrified me. I didn’t like the idea of the unseen because I felt like I had no control. I’d lay in bed at night praying they would go away and I honestly spent a lot of time in fear. I was able to ‘shut myself down’ for a large chunk of my life, but after I had my first child in 2014, things changed. I was vividly seeing energy and colours around people and I felt bombarded by the spirit world. I thought I was going crazy. I went to doctors to see if I was hallucinating. I spoke to any medical professional who would listen to me. I tried medication. Nothing made it go away or was able to explain what was going on. After talking to a psychic medium (Tammy Taylor ❤️), I was able to understand what was happening. I wasn’t going crazy, and I didn’t have to be afraid. After learning how to control things, set boundaries, and take charge of myself and my environment, I no longer had to live in fear. The rest of my journey progressively grew from there. The more I learned, the more confident and in control I felt. It started as a personal journey that I now share with others in order to help and guide them too! My absolute favourite part about what I do is helping people live a more conscious life. I love anything that inspires people to live more intentionally. When you experience evidence that one’s soul continues on after physical death, or that you can tap into the part of yourself that knows the answers, then you start to live differently. Your awareness expands and you start to live more consciously because you realize there is more to life than this. There is a purpose to everything you’re experiencing. What is one thing that has helped you on the path to getting to where you are today? Meditation. Getting into the regular habit of quieting my mind every single day in order to listen to my true desires, and to tap into that deeper part of myself. Not only was it life changing for my spiritual development, but for my personal development as well. When I first started exploring meditation, I wasn’t that into it. I found it difficult and I felt like I couldn’t ‘track my progress’. Since I didn’t know how to see tangible results, I found it hard to motivate myself to do it. If you’re anything like me and like scientific, proven explanations/reasons behind things.. I highly recommend watching any video or interview with Emily Fletcher! She is an amazing teacher who demystifies meditation and teaches practical ways and reasons why to incorporate it into your daily life. Spirituality to me means nurturing the relationship with your spirit, listening to your inner knowing, and living from a more conscious place. It means being in tune with your own inner, personal pathway. What is the coolest spiritual experience you have had so far? I think the coolest spiritual experience so far has been the first time I ever gave someone a really healing mediumship reading. First, because I never considered myself a medium or thought I could do this work. & 2, you can instantly see a weight being lifted off their shoulders. Helping someone get out of that fog and see the light after they’ve been in the dark so long (whether it’s because they’ve recently lost a loved one or are in a really dark place in their own life) is the best form of bliss. What advice would you give someone who aspires to do what you are doing? Find positive, like-minded people to surround yourself with. There is a saying that goes something like ..”you are the average of the 5 people you spend the most time with”. Think of these people. Now think of your goals or where you are trying to get to. Do these people make you feel good and inspired and lit up? Or do they dim your light? When I first started on my spiritual path, my current circle didn’t know what to think. Taking about spirits, energy, and really anything unseen just wasn’t normal or something they were interested in. At first this caused me to internalize a whole lot of feelings. It brewed up an unhealthy amount of negative self-talk and self-doubt. I thought I was crazy for being ‘different’. Now my circle, who I spend the most time with, are people just like me. They are people who I can share any crazy experience with without filtering what I want to say or trying to hide any parts of me. Where can we find you in person or online? I mostly like to hang out on Instagram ( @coridrydak ), but you can also find me on Facebook too! You can also visit my website at www.coridrydak.com , where I share my journey through personal growth (my ‘journal’), and things I’ve learned through my journey of mediumship, energy healing, crystal tips/tricks, & more.